Leading sustainable water provider, EauVation, is launching two ground-breaking products, EauVation SmartTap™ and EauVation Touch™. EauVation SmartTap™ is the ideal system for drink or food prep areas in the kitchen, restaurant or office. This neat little under-counter system is compact and powerful, quickly dispensing boiling, chilled still and sparkling water options in high volumes at the simple touch of an easy-to-use, illuminated button console. The SmartTap™ can be positioned as a stand-alone system, or under/over-sink, and has been designed to withstand the demands of high-use areas. Easy to configure, with both left and right-handed options available for flexible functionality, the height of the dispense tap can be customised to allow for bottle filling to suit each site. In turn, EauVation Touch™, with its ‘one tap, five functions’ is the most stylish and technologically advanced multifunction tap that is on the market. 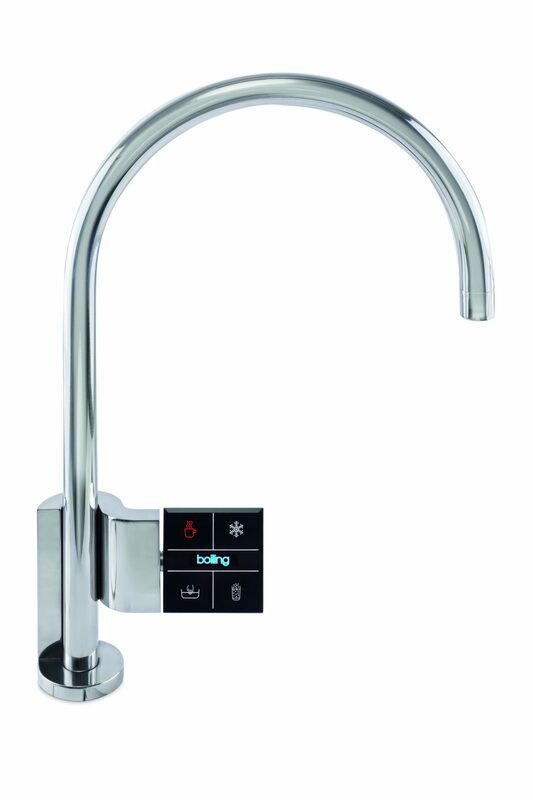 Described as the most robust and reliable system available to operators, its touchscreen control panel dispenses boiling, chilled, sparkling, hot and cold filtered water as standard. “EauVation is increasingly the ‘partner of choice’ for those operators who want to serve water in a sustainable way. And by doing so, our customers are enjoying the added benefits of no storage, no waste, good profit margins, and engaging their consumers with signature marketing. Our new EauVation SmartTap™ and Touch™ are another step in our journey of innovation and are being launched as a direct result of us listening, and responding, to customer needs”. Both the EauVation SmartTap™ and EauVation Touch™ have unbeatable low energy consumption, and come packed with high performing insulation. Manufactured and assembled in Great Britain using the highest quality components chosen for their proven strength, the systems are easy to install and service and offer the choice of filtered or pure boiling, chilled, still and sparkling water modules, as well as ambient water.